So this month saw the start of my night shifts (horray! ), and to be honest I am not the biggest fan of them. 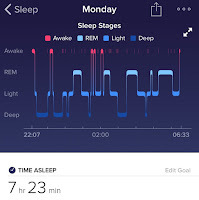 I have been in a regular sleeping routine in the last year of only day and twilight shifts. 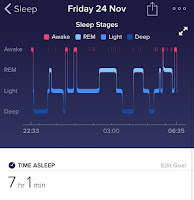 As a student I did many night shifts, and I have to say they were not my best friend. 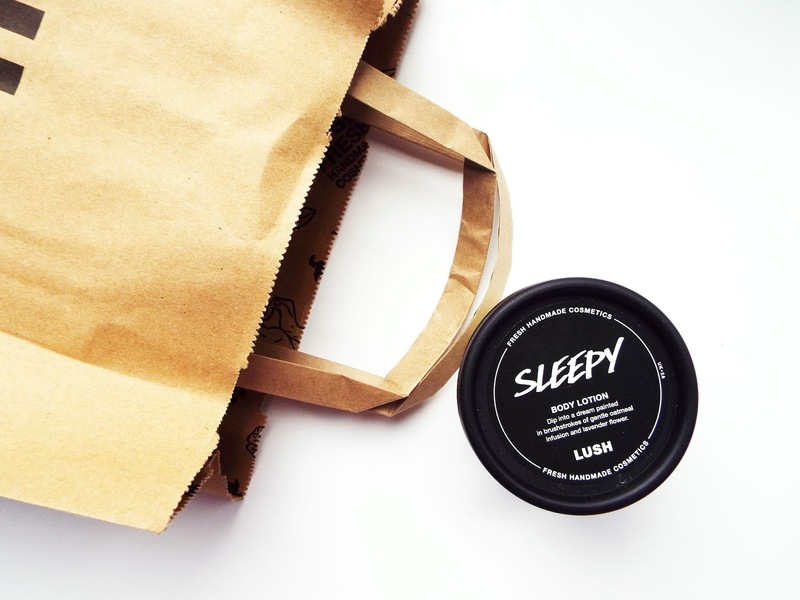 Some of the girls at work have been putting Lush Sleepy to the test to see if it helps them after their night shifts. I thought it was time that I joined in and put it to the test. So what is this little pot of joy, you might say. 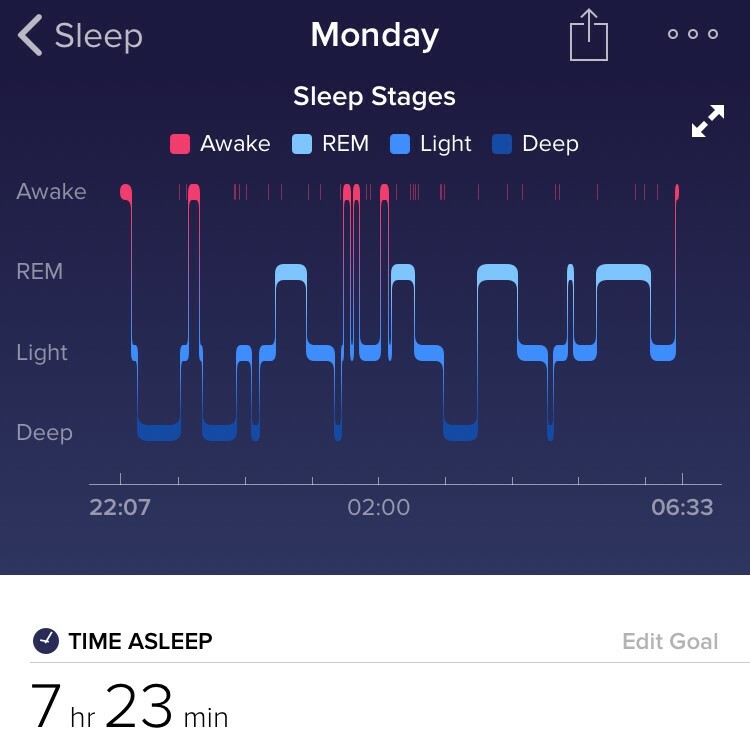 So Lush, the people who create all the goodness from bath bombs to skincare, have created a little purple pot of cream which has those of us who don't always have the best nights sleep excited. 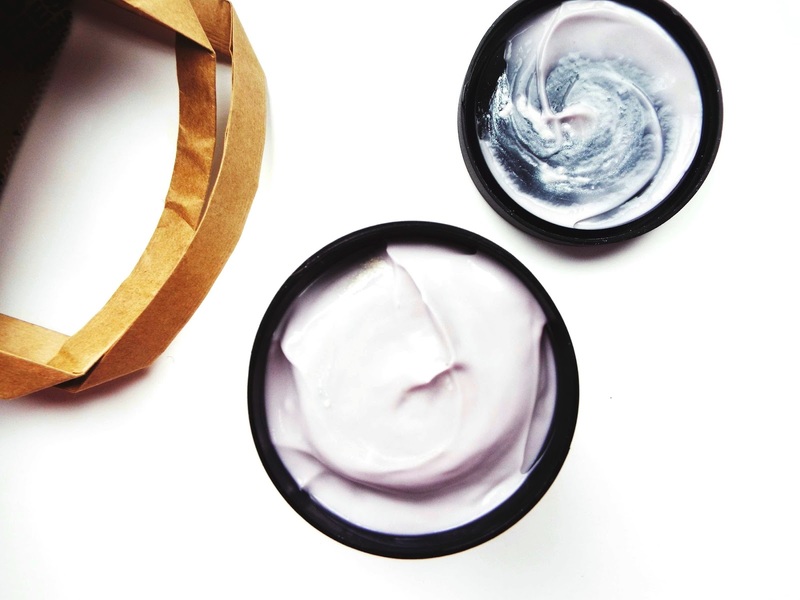 Sleepy is a soft, thick lotion which has a gentle mix of oatmeal, calming lavender and sweet tonka absolute. They have then added cocoa butter to make it silky smooth and combine all those lovely ingredients together. 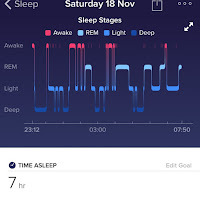 So from the stats it doesn't real show us too much regarding if Sleepy did/did not contribute to my sleeping as I slept for different amounts of time each night. 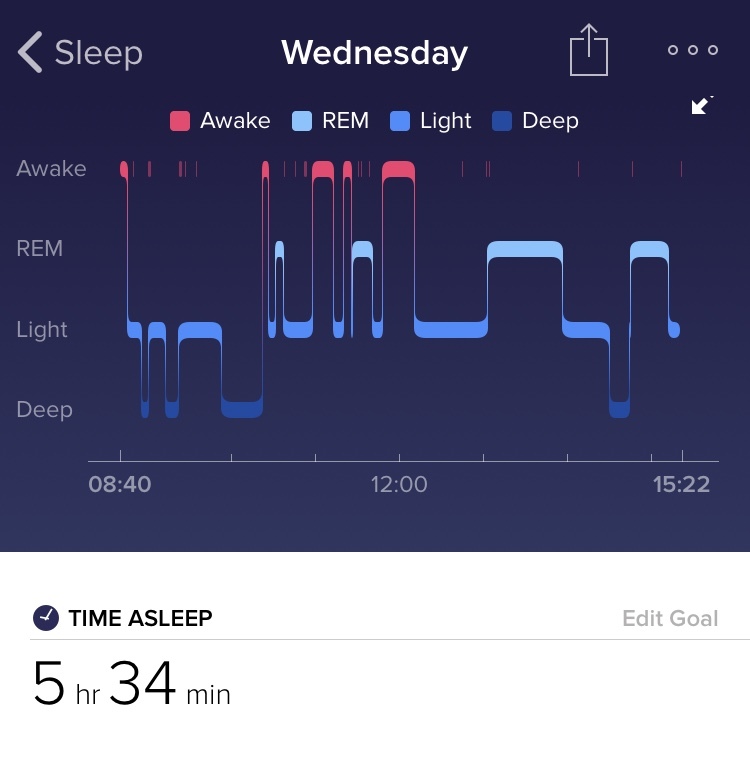 However, what I can say is that I definitely felt as though in myself I had such a better nights sleep. 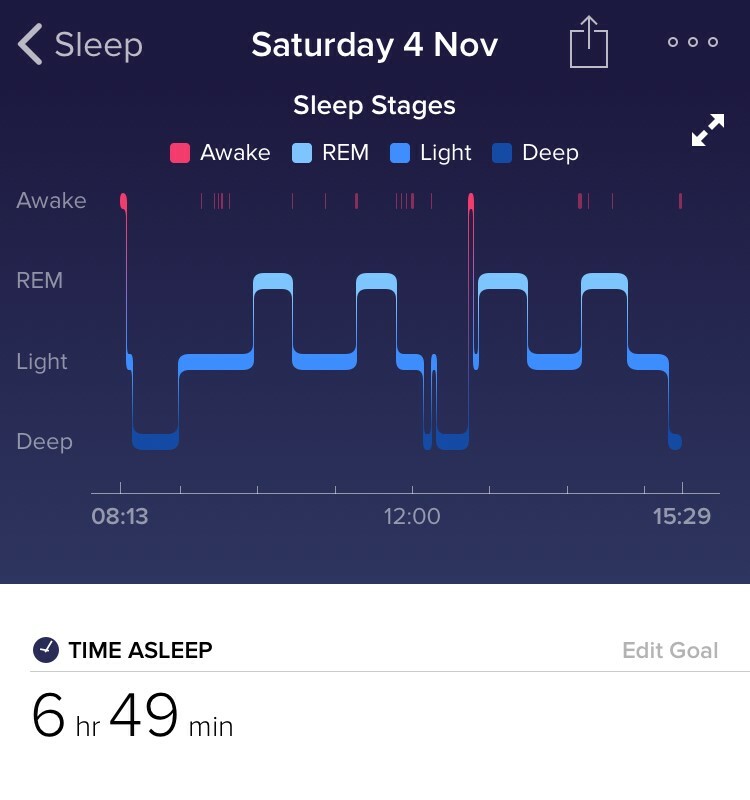 I usually only sleep until about 1pm after my night shifts, and every day whilst using Sleepy I slept until around 3.30pm. 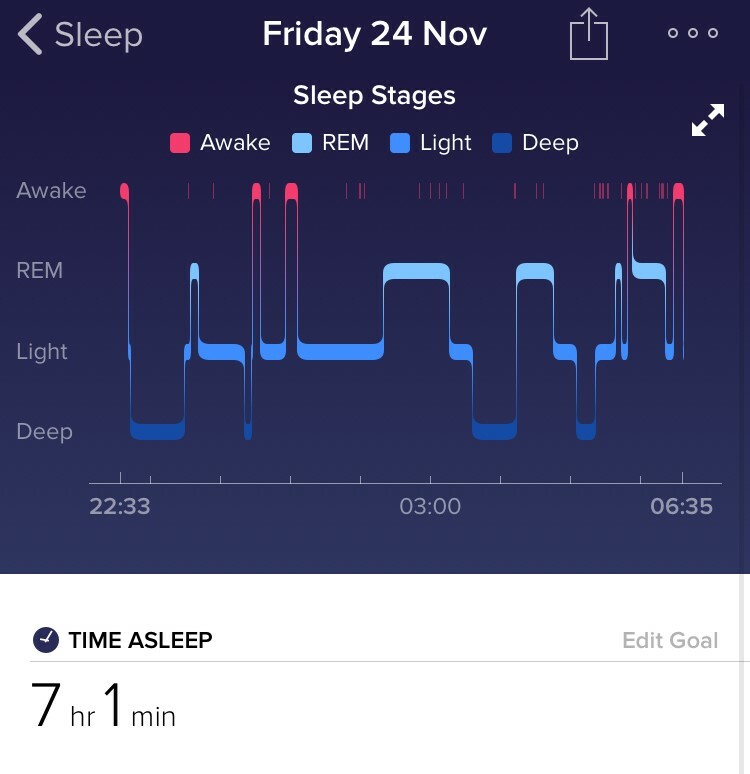 Two hours extra sleep is an absolute god send. But I thought I would take the experiment one step further and track my sleep when I have been to work and on days off, and use sleepy some night and not the others. 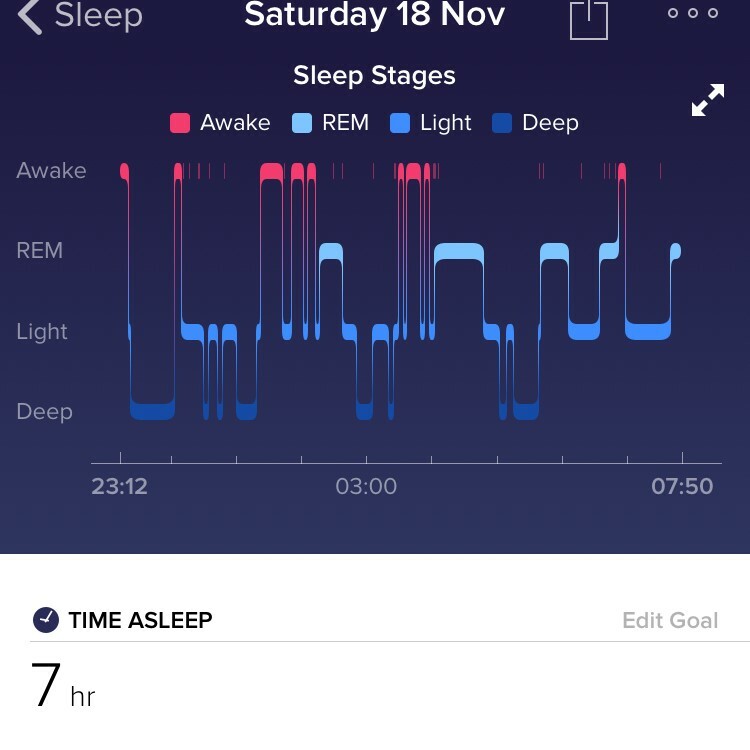 So on the 16th, 20th and 27th I wore sleepy to bed. Due to my shift pattern I quickly realised this was going to be hard to track, as there is never going to be a week where I do the same shifts. 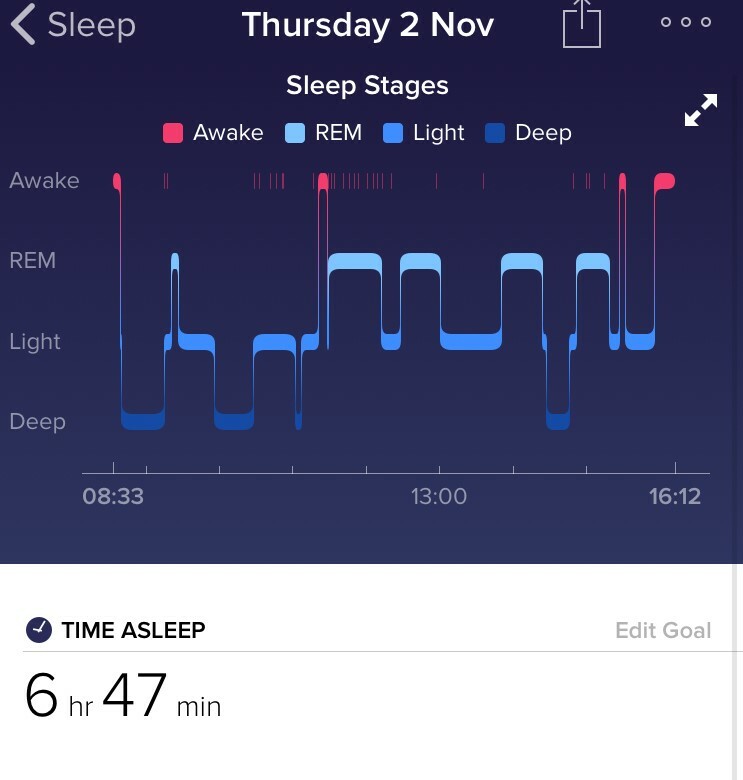 On days where I wake up at 6.30ish, I had work and therefore had an alarm set, therefore I do not know what time I would have naturally woken up. 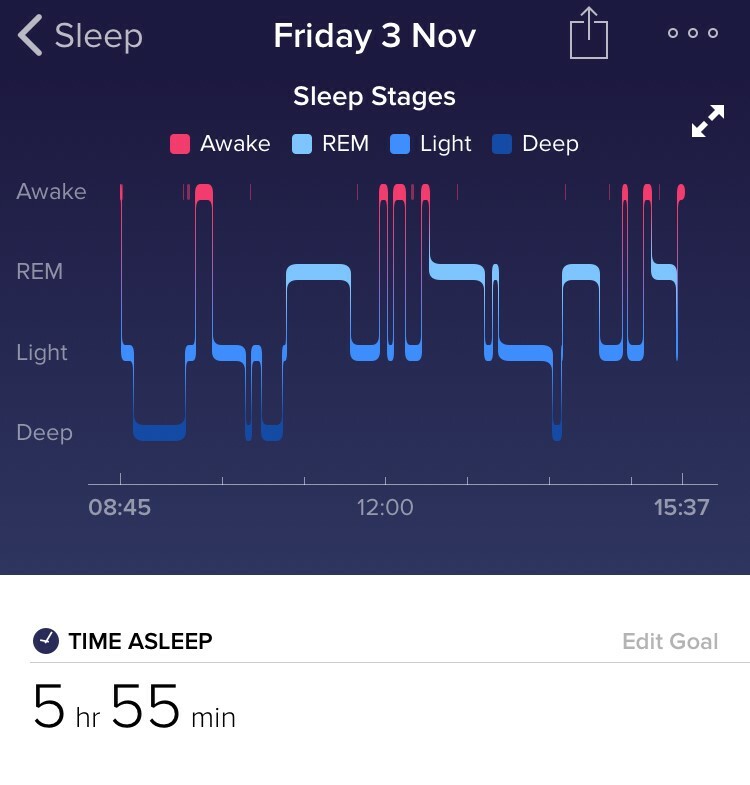 However, I found it interesting on the 16th November I did not work in the day, did not wear sleepy to bed, did not have work the next day, and slept for 7hr 3 mins. 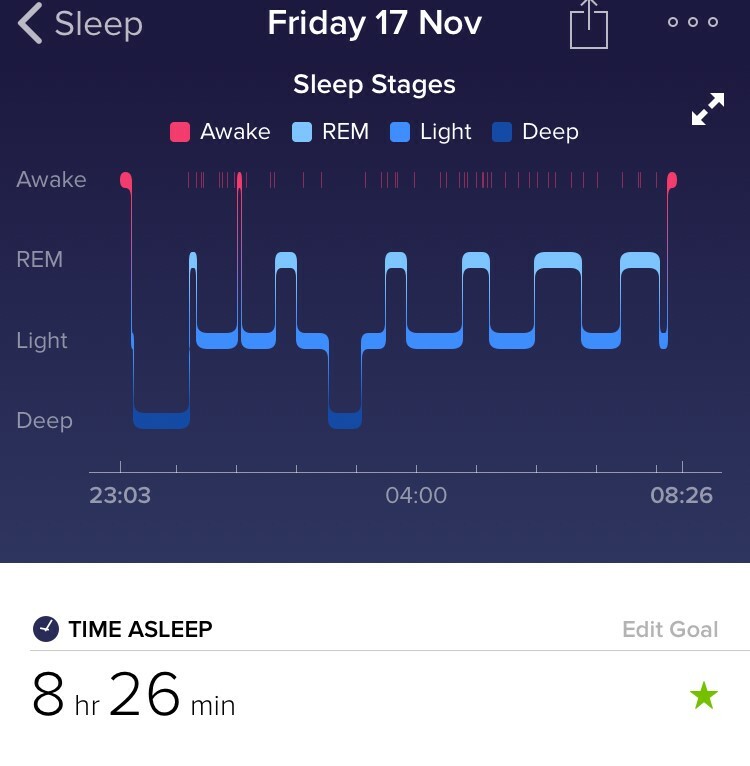 On the 17th November, I also did not work in the day, but I wore sleepy to bed, and did not have the work the next day, and slept for 8hr 26 mins. 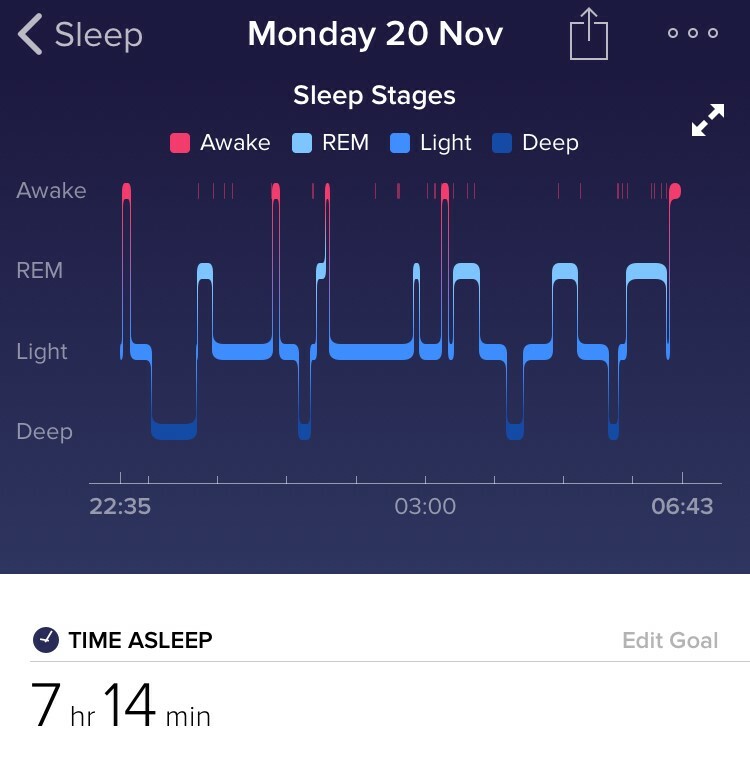 It is clear to see that I slept much better on the 17th, on the night I wore sleepy to bed. 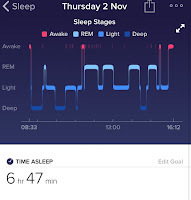 On all the nights I wore sleepy, the episodes of deep sleep were for longer, and I had less episodes of being awake and as a whole they were much shorter. My conclusion would not be classed as fully reliable if I was back in my year 11 science class, as the factors have not been the same throughout. 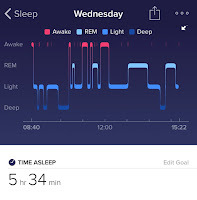 But, I have done my best, and like I have said I was never going to get everything matching as my shift pattern does not allow this. 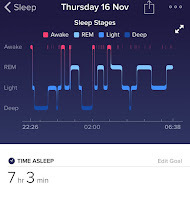 Overall, I think for me personally sleepy definitely does help me to get to sleep quicker. 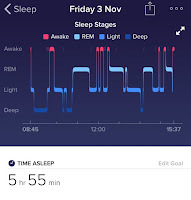 For sure, on my night shifts I slept for longer and I had less episodes of waking up than normal and that I am certain of. 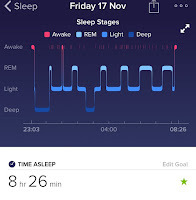 The scent of sleepy is a gorgeous sweet lavender, and if you struggle to get to sleep, or wake up frequently during the night it is worth you investing in a tub of this goodness. You can pop in store and get a sample size pot to test, or for £7.95 you can get a 95g tub which will last you for a good few months.